The Indian Union budget, unveiled last week, boosts credit positive for India’s sovereign ratings, announces Moody’s the global credit ratings agency. 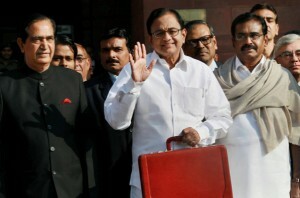 The fiscal consolidation plan unveiled in the 2013-14 Union Budget by the Indian government is a realistic effort to correct the country’s macroeconomic imbalances, Moody’s said in a new report. “Fiscal consolidation could pave the way for monetary easing, which would revive growth. The extent of easing would depend on whether the Reserve Bank of India, which has noted that “sustained commitment to fiscal consolidation is needed to generate monetary space,” believes that the government has provided evidence of such a commitment in its budget,” the global ratings agency said in its report. “The fiscal 2013 outcome demonstrates the sovereign’s commitment to the budget target. Efforts to rein in India’s deficits are a step in the right direction because large central government fiscal deficits constrain credit by fuelling inflation, crowding out private-sector access to domestic savings and widening the country’s current account deficit,” Moody’s said. India had a series of warnings from global ratings agencies last year about the state of the country’s public finances, however, Moody’s has a stable outlook on India’s sovereign rating. “The Indian government will need a similar commitment and implementation capacity to meet its fiscal 2014 deficit target of 4.8 per cent of GDP, but we consider many of its assumptions optimistic,” Moody’s said. “The fiscal 2014 budget assumes nominal GDP growth of 13.4 per cent and total revenue growth of 23.4 per cent, including a doubling of revenue from divestments. It also anticipates total expenditure growth of 16.4 per cent, with 29 per cent growth in planned spending and a 10 per cent reduction in subsidy spending,” the agency said.